The New Testament gives a constant refrain that we are a people who live our life together in the name of the Father, the Son, and the Spirit. Jesus famous instructions to go into all the world are a call to immerse those who come to follow him into the name of the Trinity (Matthew 28). As we go about our life as people of the resurrection, we are told to do all that we do in the name of the Lord Jesus (Colossians 3). When we are sent along the mission of God, we go out for the sake of the Name (3 John). From our “being” to our “doing” and each space in between, our life and ministry is intended to be oriented and empowered by the Triune God. So what does this trinity-shaped mission look like in philosophy and practice, especially for those called to care for new expressions of the Gospel amidst a shifting landscape. If you are a missional leader who desires to be formed and informed by the ongoing life of the Father, the Son, and the Holy Spirit, join us for a day of soulful reflection, heart-opening discussion, and re-imagined mission. For those already attending the Missio Alliance Gathering on September 19 & 20, there is a small discount available by entering the code MISSIO during the registration process. If there is one trait that most defines the life of The Father it is His deep and unending love for everything within His creation. His love is what generated His creative activity and it is the central force behind His sending mission reconciliation and restoration in the world. We could even say that “mission” is The Fathers love language to the world! The missional mindset allows us to model our Fathers love for us and the world. In this time of self-examination we will be reminded of God’s great and vast love for us, how we must live a life of ministry and mission from that relationship and identity as that love is the best we have to offer. Is Jesus merely the message of our mission or is He more? Is His sacrifice merely something we point others to or need ourselves to continually look to as we live on mission? Is His resurrection something we merely give testimony to or is it the source of our power for living on mission? Most of those in ministry would claim that Christ is the focus, center and power of our mission. Yet, what does this really look like? What does it feel like existentially? What can we expect in reality? And how do we avoid the flip side of those questions… i.e what are the counterfeits… the dangers… the ways Christ gets sidelined or merely added on to our mission? In this space we will explore ministry in the tension of a cruciform and resurrection life. Beyond church growth strategies, leadership styles, ministry vision, trendy programs, or some other areas of church life, it is the Holy Spirit that inspires and enables the church for God’s mission in the world. As Zechariah 4:6 declares, “‘Not by might nor by power, but by my Spirit,’ says the Lord Almighty,” the Holy Spirit prompts and propels the church to be His witness to the ends of the earth. The Spirit equips His people with spiritual gifts, empowering them to be His instruments for accomplishing His mission. We will consider the movement of the Holy Spirit in our context as we seek to reach our world with the gospel of hope and life in Jesus Christ. Rev. 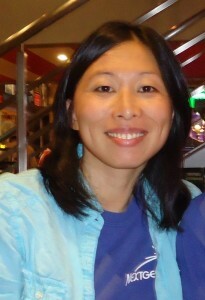 Dr. Mia Chang is the lead pastor and planter of NextGen Church in West Windsor, New Jersey. Mia was ordained as a pastor upon completing her studies at the Alliance Theological Seminary in New York. She holds the Doctor of Ministry degree from Palmer Theological Seminary of Eastern University in Pennsylvania. She planted NextGen Church in 2008 as a unique multi-ethnic community that seeks to embrace their diversity and differences in heritage and culture while celebrating unity in Jesus Christ. This community of families and young adults views their mission as to love, serve, and impact the world by reaching out to their neighbors and building up the next generation. 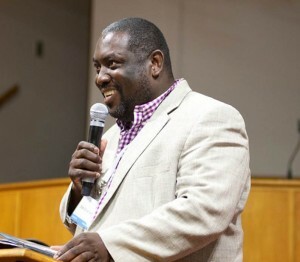 Don Coleman is a community leader, 7th District School Board representative, and co-pastor of East End Fellowship, a fresh expression of church in the Church Hill neighborhood of Richmond, Virginia. For years, Don prayed for a movement of God’s Spirit among the people in the East End so that the city would be transformed. In February 2008, he and co-pastor Corey Widmer, gathered a group of passionate people and began meeting weekly at a local high school, worshiping, praying, sharing and supporting one another. East End Fellowship has become a multicultural, multi-ethnic community bringing unity and creative transformation to the city of Richmond. Mike and Judy are currently serving as church planters in Easton, PA. They had previously been a part of New Life Church since 1998 where Mike served as associate pastor. Their hometown was Perkasie, PA – a small town about 30 minutes south of Easton/Coopersburg. Mike graduated from Westminster Theological Seminary in 1998 and began working as an associate pastor at New Life Dresher for the next 10 years. Judy taught for the Philadelphia School District for more than 10 years before homeschooling our sons after the birth of our daughter. 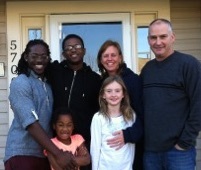 Judy and Mike have two sons – John and Rachyeed – who are 22 and 23 years of age and who came to live with the Hollenbach’s when they were 8 and 9. They also have a daughter – Kaira – who is 8 years of age and an adopted daughter Talia who is 5 years old.